Do you pack your hiking boots away after the first snowflake falls? If so, pull them back out. Winter is a great time to hit the trail for more reason than one: not only are the crowds gone, but many parks show off their true beauty after a fresh snowfall. Zip up your jacket, grab the right snacks, and head to the nearest trailhead. 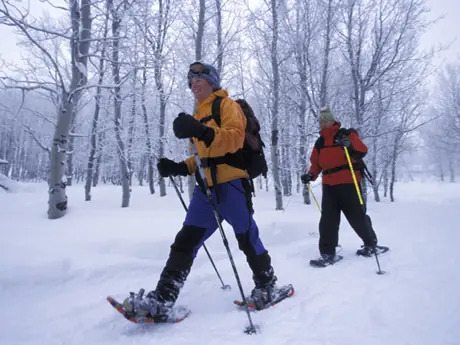 Though it feels frigid at the trailhead, your body starts to generate heat after just 10 to 15 minutes of walking, especially if you've chosen a strenuous trail. Layers or no layers, always remember to avoid cotton. Once wet, cotton no longer insulates you from the cold. Moreover, it wicks heat away from your body and puts you at risk for hypothermia.